Look familiar? 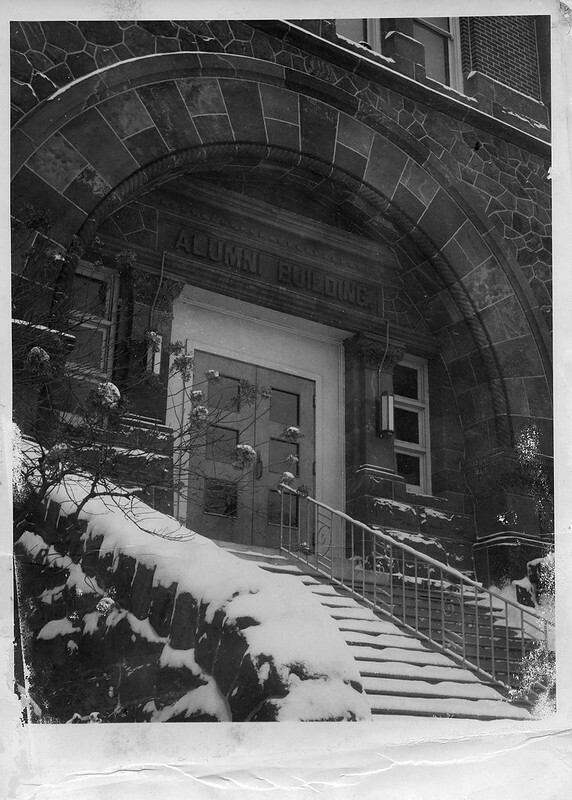 As if you haven’t seen enough snow yet this winter, here’s a shot of the main entrance of the North side of Alumni Hall during a past snowy winter. As the cold continues in Galesburg, this type of springtime fun seems harder and harder to imagine. 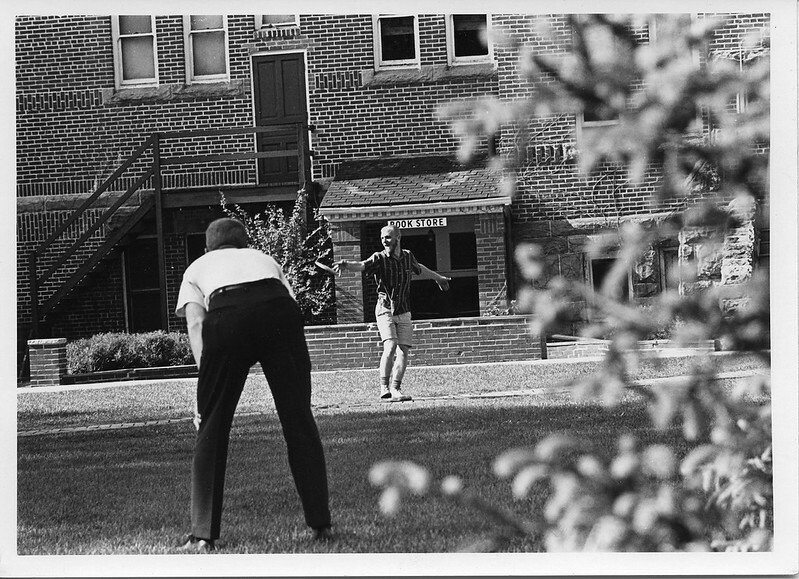 This is a shot of students enjoying playing Frisbee on the south lawn of Alumni Hall in 1965. This view seems more familiar to us in February, though. December inevitably brings snow in Galesburg, and Alumni Hall has braved 122 Illinois winters. 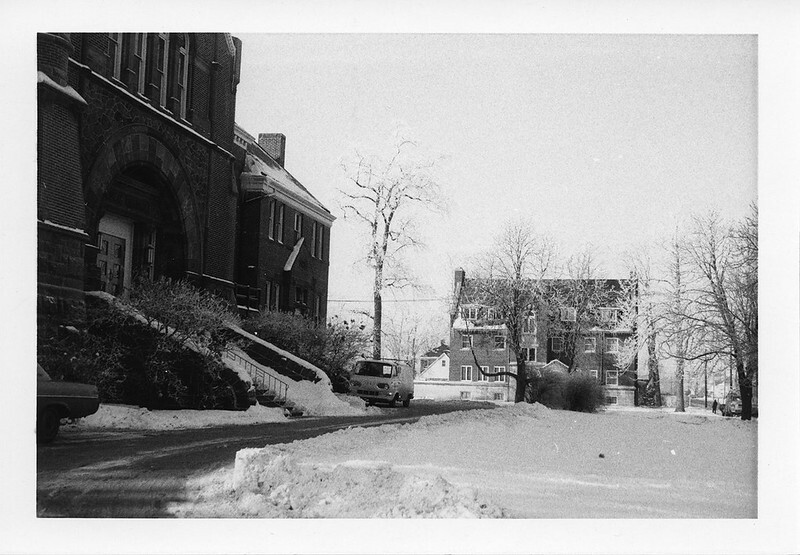 Here is a snowy shot of the north side looking west towards the Beta Theta Pi house around 1960.